Tobacco use is the leading cause of preventable deaths in the United States – every year it kills nearly 440,000 Americans. While about 70 percent of the 45 million Americans who currently smoke have said they want to quit, the Centers for Disease Control and Prevention estimates that only about 10 percent of them will succeed, due in large part to the addictive qualities of the active ingredient in tobacco, nicotine. Researchers have been looking at the genetic basis of nicotine dependence, characterized by tolerance to the drug and the presence of withdrawal symptoms in its absence, with the long-term goals of better assessing a person’s risk for addiction and potentially developing targeted treatments. Last year, Laura Bierut and her colleagues at the Washington University School of Medicine identified a single variant in a nicotine receptor that increases a person’s risk of developing nicotine dependence. A later study indicated the same SNP can actually reduce the risk of developing cocaine dependence. And now a study published this month by Bierut and her colleagues shows that the variant also influences how much pleasure a first-time smoker will experience from the first puff of a cigarette. “The type of variant you have at this particular receptor – the alpha-5 nicotinic receptor – may actually predict whether or not you will do well on nicotine replacement therapy,” Bierut said in a statement at the time. The version of SNP that can increase the risk for nicotine addiction is found at appreciable levels only in European populations. People with two copies of the less common A version of the SNP are twice as likely to develop nicotine dependence when exposed to smoking than people with two copies of the more common G version. A new study from Bierut’s group published this month in the journal Addiction shows that the same version of previously associated with nicotine dependence is also linked to the pleasurable rush some first-time smokers get. Each A at increased a person’s odds of having found that first puff pleasurable by 1.6 times compared to people with no copies of an A. 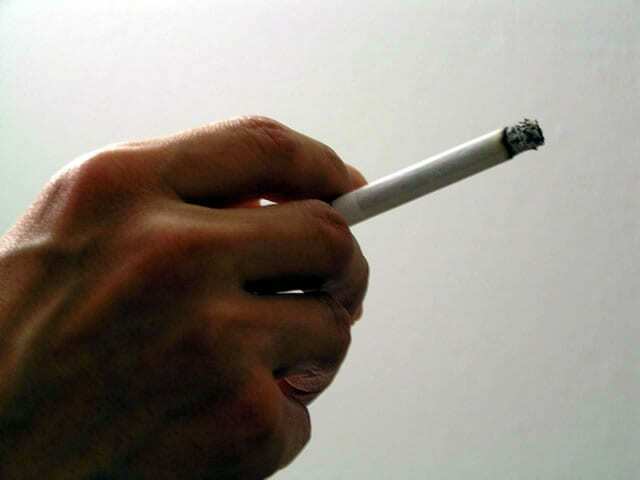 This “buzz” was in turn associated with an 8-fold increase in odds of being a current smoker. “The finding of a genetic association with pleasurable early smoking experiences may help explain how people get addicted – and, of course, once addicted, many will keep smoking for the rest of their lives,” said the study’s senior author Ovide Pomerleau in a statement. Bierut’s research on SNP also extends to addictive substances other than nicotine. Back in June, her group released a study that examined cocaine addicts and non-drug abusing controls to show that having the nicotine dependence-predisposing A version of this SNP actually decreases the risk for cocaine dependence. Having one A decreases the odds of cocaine dependence risk by about 33 percent; two copies decrease the odds by about 45 percent. The involvement of this SNP in both nicotine and cocaine addiction, and its opposing effects, may seem perplexing. But Bierut and her colleagues suggest that the answer lies in how each addictive substance affects dopamine in the brain’s reward pathway — a key player in the pleasurable feelings produced by drugs that can lead to addiction. Nicotine triggers the release of dopamine, a neurotransmitter that activates pleasure pathways in the brain. In contrast, cocaine produces pleasurable feelings by preventing the dopamine that is naturally released in the brain from being reabsorbed when its job is done. Excess dopamine hangs around in the brain and produces the “high” associated with the drug. The nicotine receptor that affects is involved in normal dopamine release, even in the absence of nicotine. So when the A version of this SNP dials down the receptor’s activity, natural dopamine release is reduced. This means there is less dopamine available for cocaine to keep around in the brain, and the amount of pleasure the drug can induce is diminished, possibly enough to keep a person from getting addicted.